Glen Jakovich is an icon of Western Australian Football. His spectacular rise to prominence coincided with that of the West Coast Eagles Football Club in the 1990s. Drafted in 1990, Glen made his name as a centre half back and was instrumental in the Eagles 1992 and 1994 premiership victories. Glen won club best and fairests in 1993, 1994, 1995 and 2000. He was selected as an All-Australian in 1994 and 1995 and retired in 2004 with 276 games as the Eagles games record holder. 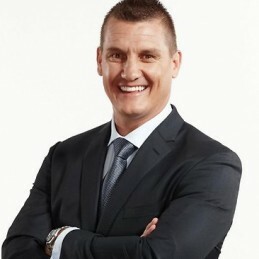 Following his stellar on-field career, Glen began work in the media as a presenter with Fox Sports and as an analyst with radio 6PR and 96FM. Along with AFL life membership, Glen has been inducted into the AFL, WAFC and West Coast Eagles Hall of Fames. Glen is currently a member of the All-Australian selection panel. A beloved football champion, public figure and experienced media personality, Glen is an in-demand speaker who is dedicated to professionalism.